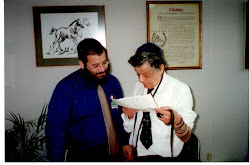 I was fortunate to spend many years in Yeshiva and camp together with Levi and I can attest to the extraordinary "chayis" and warmth that he had for everybody. This trait he inherited from his wonderful family. Having been a classmate of his older brother yebodel lechayim tuvim Nechemia. We spent many times farbrenging in the house and it was always obvious that this was an unusually warm and open house. This warmth was very obvious by Levi. He will be very much missed by everyone. We should be Zoiche to Vehukitzu Vranenu Shuchnei Afar. Levi and his father and brother Nosson will be there speedily in our days.